GPS Maze Europe - opportunity to earn unique geocache type icon, learn a lot about geocaching, and get this colorful geocoin. 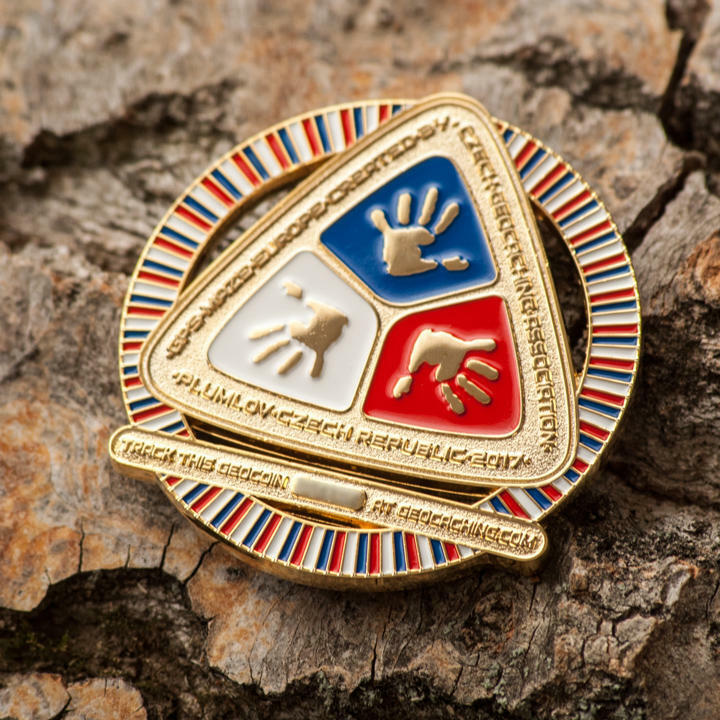 This large geocoin measures 54,5 x 56 mm. 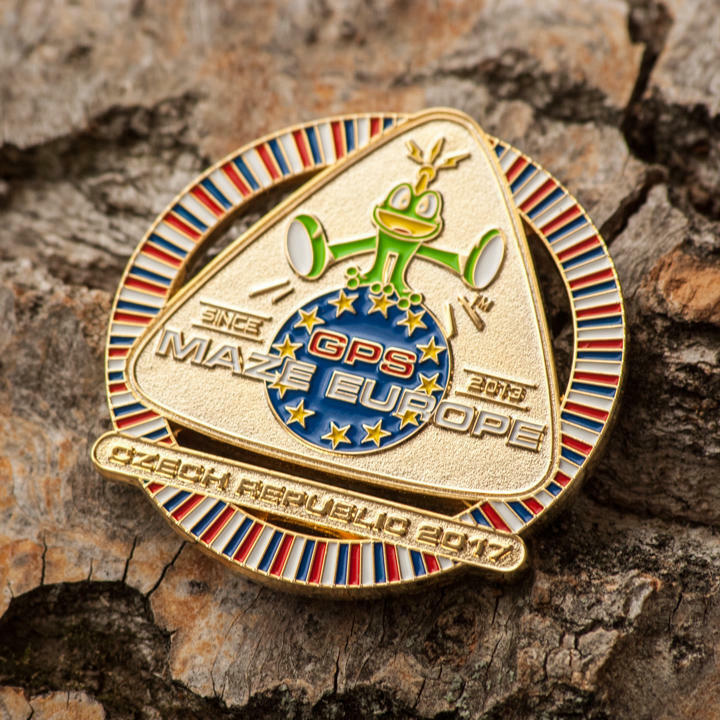 Front side of the geocoin features GPS Maze Europe logo and tricolor symbol of Czech republic. On the backside of the coin CAGeo logo and tracking number. Trackable at geocaching.com with GPS Maze Europe event icon.